COACH left Russia in 2011, where it was only distributed via multibrand stores, is returning to the country with a new partnership. 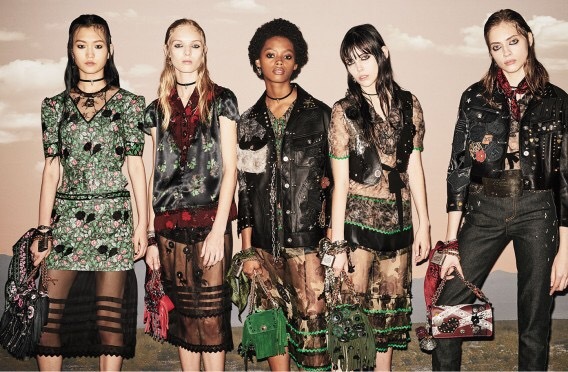 Coach has just signed an exclusive agreement with BNS Group, a distributor in the region for labels including Calvin Klein, Michael Kors and Topshop. The agreement has a duration of five years, with the possibility of renewal. The opening of four Coach boutiques in Russia is forecast between 2018 and 2023. Currently, Coach is sold in Russia via two multibrand stores through Tsum. The brand entered the Russian market in 2008, partnering with local usiness Jamilco. At the time, it planned to open 15 stores. Finally, it only opened a handful, which have been closed since 2011. Over the past 2 years, Coach has seen its stores in esteemed shopping destinations multiply: in Paris in 2015; then on London’s Regent Street in November; its flagship opening in New York in December on 5th Avenue; followed by its very first Italian boutique in the upscale Milanese Via Montenapoleone. Coach now operates over 450 stores in North America, 520 in Asia and 40 in Europe. Coach recorded revenue of $4.147 billion (3.946 billion euros) for its fiscal year 2015-6 ended last July, of which women’s handbag sales accounted for 53%. Posted on May 22, 2017, in #international, #luxury, #retail, Other. Bookmark the permalink. Leave a comment.